2011 AWARDS voting starts in [fergcorp_cdt_single date=”sat jan 15 2011 12:00:00 -500″]. Created by everyday photographers for everyday photographers, this is the original online video contest for TV shooters. Thousands of b-roll.net members from around the world upload video clips to our site and the votes from those same members determine the winners. The winning clips are accessible on b-roll.net as tremendous educational resources for students and professionals around the world. There is no entry fee for this contest. 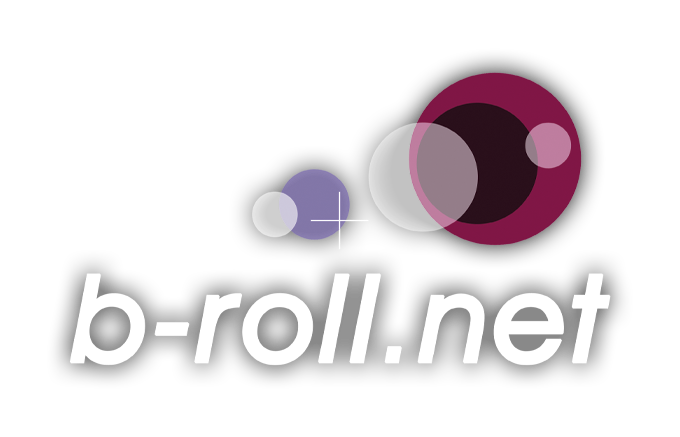 You must be an activated, registered member of the b-roll.net FORUM and be logged in to enter, compete in and judge the contest. All work must have aired between January 1 and December 31, 2010. Clips may be entered between 12 noon ET on January 1, 2011 and 12 noon ET on January 15, 2011. The First Round of judging will commence on January 15 and go through January 29, 2011. The Second Round of judging will go from January 29 through February 12, 2011. The entering photographer must be the primary producer of all entries submitted, having shot at least 90% of the video in the story. No re-editing of stories is allowed. Inappropriate category selection may result in disqualification. A photographer may submit a maximum of two entries in each category, but an individual story can only compete in one category. The completion time for each category includes the period from the first shoot of the story until its first airing. The contest is divided into five Core Categories, which demonstrate the projects we produce everyday, and five Supplemental Categories. A first, second and third place winner will be chosen in each of the 10 categories, as well as three division champions and one grand champion. Selection of champions will be determined by the votes cast for clips in the Core Categories. To qualify, a photographer must have entered at least one clip in at least 4 Core Categories with only the highest-scoring clip in each category being counted. Core Categories include: Spot News, General News, Feature, In-Depth, and Live Shot / Standup. Having proven to be the best in the Core Categories of shooting, three champion photographers will win BEST of b-roll.net. The grand champion of the contest, the b-roller of the YEAR, will be determined by total votes cast for that member’s uploaded clips. Definition: A single, unanticipated news event for which there was no ability to plan in advance. Examples of spot news include but are not limited to crime, fires, accidents and other disasters. Definition: A single, issue oriented news event for which there was time to prepare. General news stories should contain no music unless it is part of the natural sound of the story. Definition: A single report, light or serious in nature, with a subject profile, human interest or hard news angle. Definition: A single story or series on one specific topic, requiring exemplary effort on the part of the photographer producing the story. Entry may be a composite of up to three stories as long it stays within the time limit. Stories and topics covered should not be considered investigative in nature. Definition: A compilation entry of creative and innovative live or taped stand-ups. Entry should be a composite of at least three but no more than five stand-ups, as long it abides to time limit. Definition: A single, unanticipated news event that is aired simultaneously within or outside of a regularly-scheduled newscast. Entry may include multiple live elements. Air-check presentation is required. Definition: A single report which contains no reporter track, but rather only natural sound and subject interviews. Definition: A single sports story, best treatment of a sporting event, or sports feature (entry should contain sports action). Definition: A single clip consisting of work produced and broadcast for non-news purposes. Examples include, but are not limited to commercial, promotion, industrial, episodic and music video. Definition: A story that is enterprise in nature. Clips should contain original elements and may include investigative elements such as undercover sources, documents and public records, hidden cameras, ambush interviews, etc. All registered members of the b-roll.net FORUM will be able to vote in this contest. Each member will be allowed one vote per entry. Everyone will be able to vote for their own stories. There will be two rounds of voting. During ROUND 1, voting will narrow the clips to the top 10 entries in each category. In ROUND 2, b-roll.net FORUM members will vote again for their favorite entries from the narrowed field of clips. Once voting is completed, scores will be tabulated. The clip with the highest points in each category will be declared the winner. Second and third place will be awarded in the same fashion. To vote, a logged-in member need only watch a clip and click on the 5-star scale to place his or her vote. In our voting system, 5 stars is the best, and 1 star is the worst. Go to b-roll.net/tv and follow the guidelines to upload video clips. Once the video has been uploaded and the contest entry period has begun, the clip can be entered into specific contest categories by clicking on “my videos” and editing the selected video. PLEASE NOTE: The “Video Channel” that is selected when the initial upload is complete is not the contest category. You must select “edit” for the video clip and click in the blue “b-roll.net AWARDS” box to enter a particular video in the contest. b-roll.net will take every precaution in handling your entries but cannot be responsible for non-receipt or faulty uploading. The entrant must be the only copyright holder or have been authorized by the copyright holder to submit entry. b-roll.net has permission to copy and display all entries for purposes of promoting the b-roll.net AWARDS without any remuneration. The winner of any prizes will be fully responsible for any taxes that may be required. Entries that disregard the above rules will be subject to disqualification. All awards are subject to the approval of the b-roll.net AWARDS Committee. The b-roll.net AWARDS Committee has authority to interpret contest rules. If you still have questions, please e-mail the b-roll.net AWARDS Committee at: awards@b-roll.net. Good luck and have fun!